Two seperate investigations into the British Pound’s value against its fundamental underpinnings suggests it is overvalued. Indeed, the present weakness seen at the Euro would suggest reality is starting to take hold on currency markets. Graphs that measure the currency’s values against both the Euro and Dollar suggest Sterling has ground to give back and one analyst says the good times for the Pound are due to end in a matter of days. “GBP/USD has clearly risen much more than would appear justified by yield differentials as GBP shorts have been squeezed,” says Juckes. 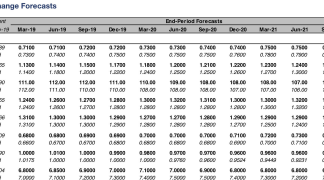 Meanwhile, a separate graph from TD Securities that seeks to find fair-value for the Euro to Pound exchange rate also suggests Sterling must fall. So what are we looking at here then? The two Sterling exchange rates mentioned here are a concept that needs no introduction to readers I am sure. Rather it is the yield spread that is more of an issue, and how they relate to the exchange rates. The first point to make is that there is a clear correlation between the the exchange rate and rate spreads as both graphs can attest. When they two lines separate we can assume something has gone awry and inevitably the two lines shall meet again. But because the exchange rate is a function of the interest rates, more often than not it is the exchange rate that moves to meet rate spreads. Therefore, downside in both GBP/USD and GBP/EUR are likely. The yield spread relating to the GBP/USD is the difference between the yield delivered by US government bonds and UK government bonds. The yield spread relating to the GBP/USD is the difference between the yield delivered by German government bonds and UK government bonds. It is assumed investors will send money to wherever the yield is higher. The graph shows US are higher and as such we would expect capital to flow in a manner that favours the US rather than the UK. Understandably, this would typically have a downward pull on the GBP/USD exchange rate. So the graph suggests that either the Pound must fall against the Dollar or the yield differential must move higher. Of course the latter could happen. But recent communication from the Bank of England suggests they are not ready to raise interest rates - something that would help UK yields higher. Meanwhile, the US Federal Reserve is now well into a period of raising interest rates which suggests that US yields will not lose support as a result. And as we have recently reported, markets are starting to bet that the European Central Bank (ECB) will soon announce it is to start withdrawing its quantitative easing programme which should aid Eurozone yields higher. As such, a cursory glance at the graphs suggest the Pound to Dollar exchange rate might head towards 1.24 again while the Pound to Euro exchange rate could head higher towards 0.8750. From a Pound to Euro perspective this equates to 1.1429. The call comes as the Pound is seen suffering some notable losses against the Euro as markets start to bet the ECB will soon start announcing major policy shifts. The move could already be underway. >> Update: Best international payment rate on GBP vs EUR now seen at 1.1529, banks seen offering in region of 1.1227-1.1308. Details here. What Could Explain the Pound's Overvaluation? Ever since the UK voted to leave the European Union in June 2016 the foreign exchange market has embarked on a one-way bet against Sterling. Think of a market where everyone is betting in one direction. And consider that for a price to keep moving in that direction more entrants to the market are required. It goes without saying that soon enough the trade becomes so crowded it stalls. When there is a reversal, the kind triggered by Theresa May’s ‘game changing’ call for a general election, suddenly the market turns agains the crowd. Many will exit the trade and in doing so they must by Sterling and the exchange rate recovers. 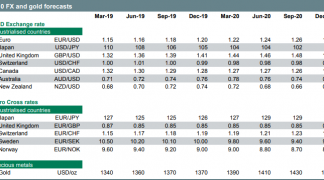 The conditions are therefore ripe for Sterling to fall back and at the time of publication we are on day two of the three-day timeframe; and judging by Sterling’s recent heavy sell-off, Juckes appears to have been spot on. Some food for thought though from Brent Donnelly, a spot FX trader with HSBC in New York, who says positioning has no real forecasting value. “While countertrend moves are explained by positioning in hindsight, I have never seen any research that supports using COT positions to forecast prices moves,” says Donnelly in a note to clients. (COT = Commitment of Traders report data which is released weekly showing how the market is positioned). So while positioning can explain some moves, it does not often give clues on potential future moves. “COT data is great for crafting ex-post narratives when things reverse but not useful for determining the future path of exchange rates,” says Donnelly. The strong economic growth rates currently being seen across Europe is apparently seeing markets re-rate their views on the Euro. 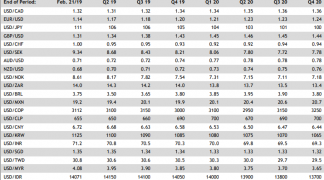 Eurozone first-quarteGDP released in May showed some welcome geographic broadening of growth with the long-underperforming peripheral countries starting to see activity pickup. c) use it as a safe haven to hedge Trump political risk (EZ has a 3%+ current account surplus). 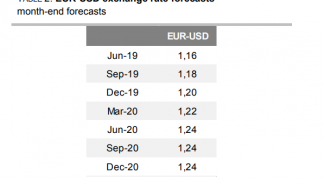 “Technically EUR/USD looks as though it can run on to 1.1200 and potentially 1.1300 near term,” says Turner.